One sip is all it takes to fall in love with Promised Land. 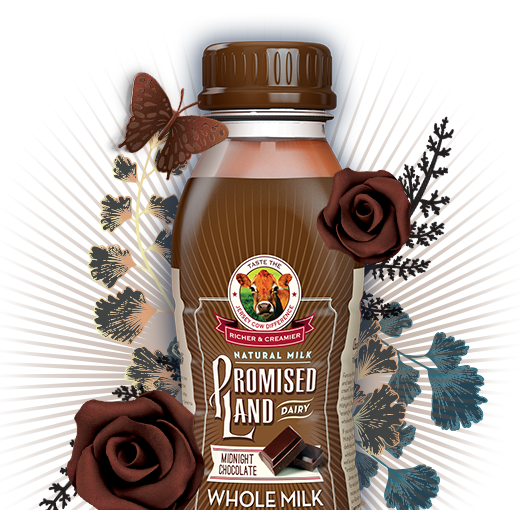 Try our Midnight Chocolate Milk today and discover the indulgence of your dreams. Our cows put quality over quantity. They produce less milk than larger breeds like Holsteins, but it’s naturally higher in protein, calcium and the rich flavor you crave. The cows are different here and their milk is, too. It’s naturally richer, creamier and more indulgent. Welcome to Promised Land Dairy. Hover over a flavor for details. Swipe and tap flavors to learn more. 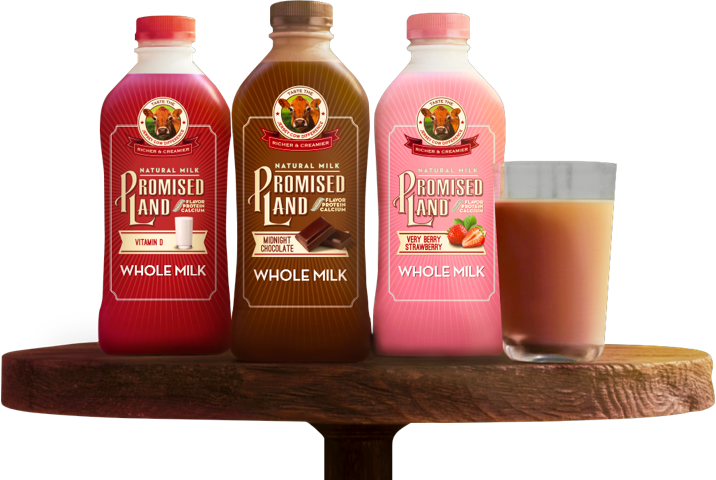 Love Promised Land Dairy? 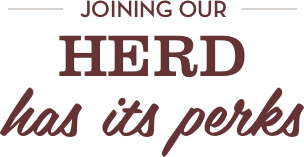 Then join the Moo Crew and get the special perks you crave. Enter your ZIP below and we’ll tell you where you can purchase a bottle of our delicious Jersey cow milk.